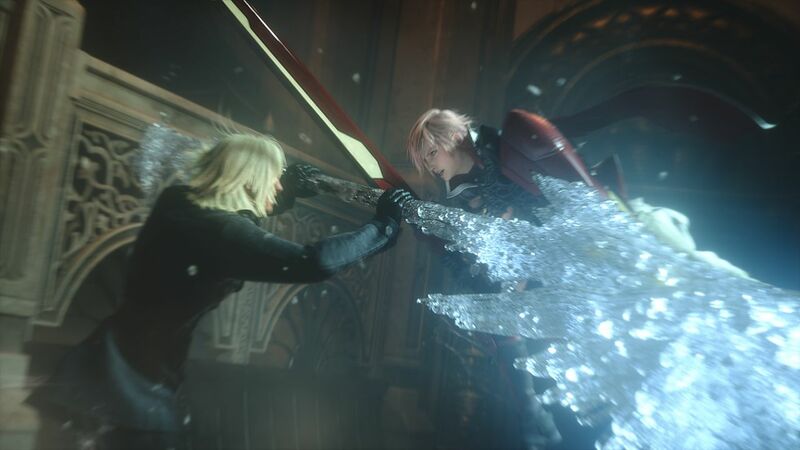 It’s likely an understatement to say that E3 was big for Final Fantasy this year – and while the show floor was abuzz with dreams of Final Fantasy XV, the current generation still has quite a bit left to give. One of those titles tailored for fans is Lightning Returns: Final Fantasy XIII – the third and final chapter in the FFXIII saga and ultimate ending to the series on both the PlayStation 3 and Xbox 360. We had a chance once again to sit down with Producer Yoshinori Kitase as well as Director Motomu Toriyama to quiz the pair on the game’s world as well as the true reasoning behind a western delay. Nova Crystallis: You said there was going to be a large amount of freedom in the game, to go wherever you like without being held back by a linear story. Do you get the option to choose which of the continents you go to from the beginning of the game? If not, where do you start the game? Kitase: As soon as you start playing the game, there’s a battle tutorial which is compulsory (you have to play it). But as soon as it’s finished you’ll be able to choose any of the four main islands, or continents if you like, and you can choose your areas freely. In this game, one of the key things is that time proceeds all the time, so if something’s going to happen in the evening in one location you have to work out what would be the best way to spend your time up to that. Nova Crystallis: In terms of the actual world size, would you say it’s bigger than XIII-2, maybe smaller, or roughly the same size? Toriyama: It is, in a way, a massive and epic world anyway. The overall dimension is much the same, as was the case between XIII and XIII-2. In XIII and XIII-2 it’s like the locations are linked up, but not really connected in a geological sense. Mostly in this one, you can actually see four continents linked up – you can really feel the size of the world. Nova Crystallis: When the game was originally announced, it was stated that there would be maybe 20 or so different outfits for Lightning. Since then has that number increased; will there be more outfits available? Kitase: In fact, we’re going to offer more than 80 outfits. You can change the costumes as you like, and each garment or part of the costume, you can actually change the color as well. So there’s sort of massive choices so you can customize what she wears as you like. Nova Crystallis: Now does that include just the ones that are in the game, or does that also include downloadable content? Kitase: That number does include the costumes that will be available as DLC, yes. With that said, maybe 90% of those 80+ costumes are in-game. So you’re going to have to get the DLC to use the remainder of the outfits. We can’t disclose a lot about DLC at this stage, but there will maybe be some outfits and extra weapons available. But, there would only be quite a small number so most of those 80+ outfits you can just play anyway. Nova Crystallis: Originally, the game had been set for a Fall release. Obviously now for the US it’s next year – in February – but in Japan it’s still this year. Is there a specific reason why Japan is getting it this November, but the west will have to wait several months? Kitase: When it comes to gameplay, the gameplay part of the game will be ready in time so we could release the game in November in North America as well. But what is going to be consuming for us is that it’s a vast game, so above the main story we’ve got lots of other small things we have to be careful of. We’ve got this huge world with lots of NPCs which all be doing their own things, moving to different locations at different times of day, where they say different things and behave in different ways. We have to be very, very careful when localizing the game, so that’s going to take a long time. We just want to make sure that the US version, with all the small bits and pieces, is as high-quality as it is in the Japanese version. This is why you’ll be seeing it slightly later than Japan. Nova Crystallis: Will there be big differences between the two versions, or will the contents be similar? Kitase: No, it’s exactly the same. 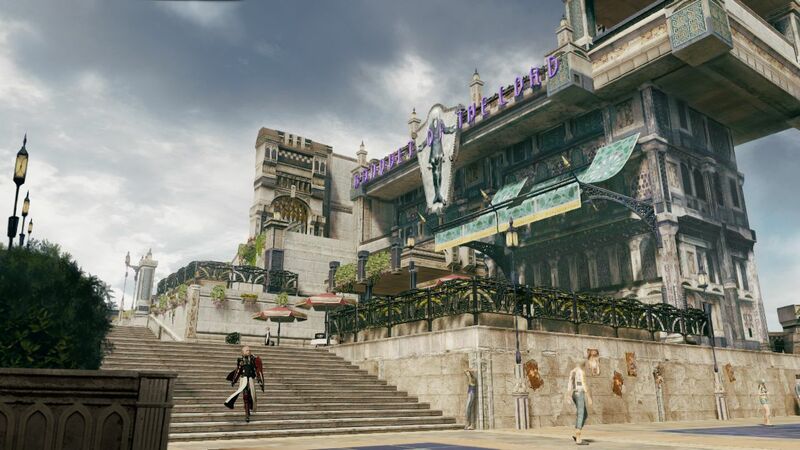 Nova Crystallis: As far as people who haven’t played XIII or XIII-2, can you talk about what you’ll have in Lightning Returns that will get new players up to speed and ready to play the game? Like, players that maybe never even heard of the first two games? Kitase: Well, don’t forget that at the end of XIII-2’s story Lightning became crystal. At the beginning of Lightning Returns, about 500 years have passed. She wakes up to a world that is completely alien to her, so even for Lightning herself it’s going to be a mostly unknown world anyway. You don’t really need to know what happened previously in the stories of XIII and XIII-2, so by playing this game the player will actually learn about this world and experience the adventure with her. They’ll find out what’s going on in the world, and solve all of the little mysteries together. If you’re keen to learn what actually happened in XIII and XIII-2, we’re planning to release more information from the storyline of the previous games on the websites so maybe we can work it out that way. Posted in E3 2013, Interviews, Lightning Returns: Final Fantasy XIII.